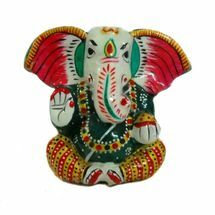 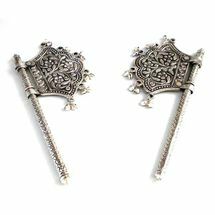 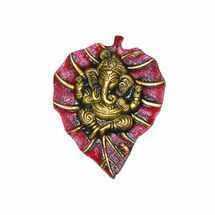 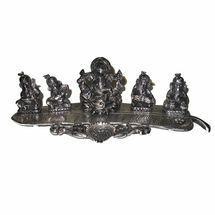 This enchanting statue of your favorite deity lord Ganesha is sure to mesmerize you of its looks. 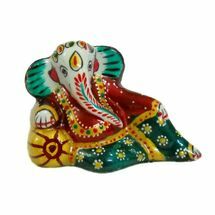 This gorgeous statue depicts lord Ganesha in a musical pose delightfully playing Guitar. 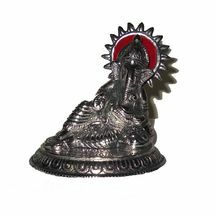 Beautiful design carved on the statue makes it ideal to keep both in your living room or your worship corner, this statue is sure to lift up your spirits. 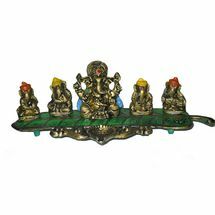 This enchanting statue of your favorite deity lord Ganesha is sure to mesmerize you of its looks. 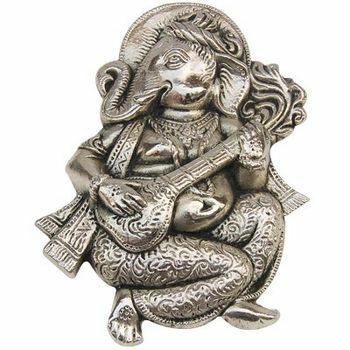 This gorgeous statue depicts lord Ganesha in a musical pose delightfully playing Guitar. 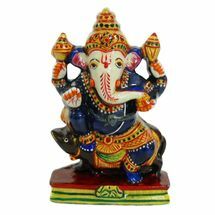 Beautiful design carved on the statue makes it ideal to keep both in your living room or your worship corner, this statue is sure to lift up your spirits.